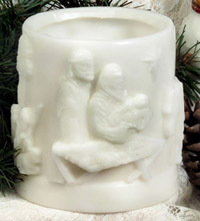 All-wax white hurricane candle depicts the Nativity Scene. This is stunning when lighted. 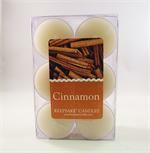 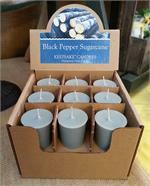 Recommended for use with your favorite Keepsake votive or tealight candle.